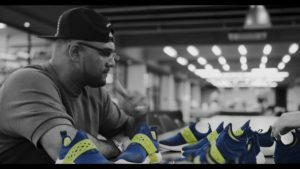 Jason Mayden on Being a Former Nike Brand Designer and Cultivating Future Heroes! 100: Jason Mayden on Being a Former Nike Brand Designer and Cultivating Future Heroes! During his 13+ year career at Nike, Mayden led and contributed to the creation of innovative sport performances products for athletes and cultural icons such as Carmelo Anthony, Chris Paul, Russell Westbrook, Derek Jeter, and Michael Jordan. Super Heroic Inc. a business focused on creating quality play performance product, technology and services for elementary school aged children and families. Also check out our Marketplace Post Game discussions: What makes a good leader? and What will you use as your fuel?